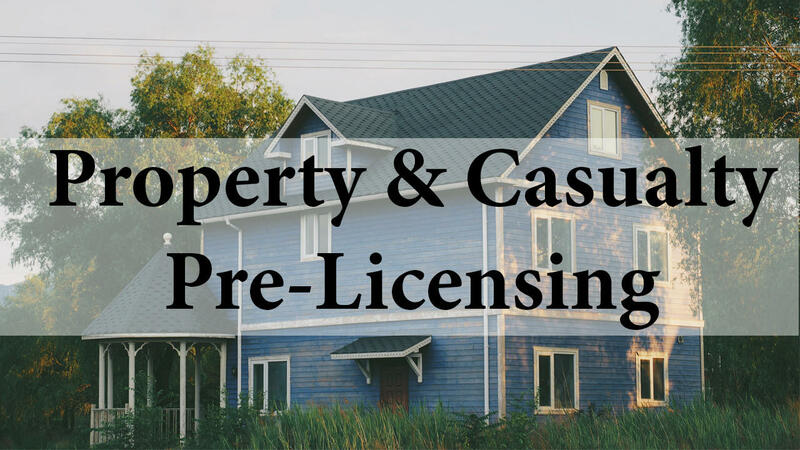 Property & Casualty - This license will allow you to work selling Homeowners, Auto, Commercial Property, Bonds, Aircraft, Marine and more. Our Pre-Licensing Courses are broken down into 8 Modules. The first 7 Modules are universal for all exams in every state. The 8th Module is state specific. We have state specific information for South Carolina and Virginia. This license will allow you to work selling Homeowners, Auto, Commercial Property, Bonds, Aircraft, Marine and more.